The word ‘Inbound’ sounds like a relatively easy word to understand. It’s used to describe when something is moving inward or toward. However, in the marketing and sales world, the definition of Inbound can be a complex concept to grasp. So to start things off, it would be in the best interest of the marketer to have a foundation on what Inbound means, and then gain an understanding of the Inbound Marketing Funnel. So what does Inbound mean? In general, it means anything that is moving inwards or is incoming from another direction. This is important to understand because this idea can easily be applied to marketing, like potential customers that are moving inwards towards a platform or product. Although it may sound simple, the strategies behind this method are intricate. In this technological age, the commercial world revolves around new technology that brings together ideas, communication, and products into the hands of the consumer. 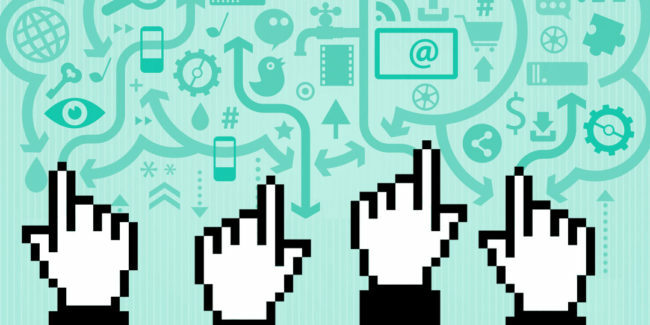 Consumers now have control of their desires and all of the information needed at their fingertips. However, it wasn’t always like this… a few decades ago, the internet didn’t exist and information wasn’t readily available. Only companies that had the budget to mass advertise in newspapers, radio stations, and on television were the ones who had the advantage. There were growing pains for traditional marketing companies where money was continually thrown out the window on the chance that an ad might generate potential leads. It was even tougher on smaller companies who had very little opportunity to compete against large brands who’ve already established a presence in the commercial world. But now, with the growing use of the internet and adaptive nature of consumers, it has become hard to fully utilize the same marketing methods used years ago. However, this also meant a new method had to be developed and thus, Inbound Marketing was born. It was a term coined by co-founder and CEO of Hubspot, Brian Halligan, but that doesn’t mean it was something already in motion. The internet was just the right tool to skyrocket its awareness to the public. To define Inbound Marketing in a formal sense, it’s the method that brings customers to your business on their own accord, through meaningful content that the consumer finds value throughout their buyer journey. Inbound Marketing is the technique that companies are employing to get the right customers. Inbound Marketing doesn’t hurt the consumer as the traditional methods may have in the sense that it doesn’t feel like spam or useless information being thrown at their face. But instead, the information that they are seeking. It’s all about a positive consumer experience and building a trusted relationship between the customer and the business. This can be achieved through good content and valuable information that the consumers want. To understand a little more about Inbound Marketing, let’s take a look at the Inbound Marketing Flywheel and Funnel. To help answer the question, what does Inbound mean, The Inbound Marketing Funnel refers to a marketing process of attracting a large amount of visitors, converting them into leads and helping close new sales. There are three stages in the funnel, the Top of Funnel (ToFu), the Middle of Funnel (MoFu), and the Bottom of Funnel (BoFu). Each stage depicts the phase that the consumer and the marketing team are in, shedding light on their decisions and actions. At the Top of Funnel (ToFu), the net is cast by marketing teams across the world to try and pull in all the customers that have a problem related to the companies’ solution. As potential leads continue to browse the web, searching for information to solve their problem, consumers may land on your website, at least that’s the goal. At this point, the website has a small window to appeal to the customer with good content and the right information. This is the beginning stage, as the company focuses on building a well-situated site with satisfied visitors, all while the customer has not yet considered purchasing a product. Now we reach the next part of the funnel, the middle (MoFu), where the customers start to convert and decide whether they want to continue to work with the same company or change over to a different one after finding the solution to their problem. This is also the stage where leads have to be sorted between good and bad. The good leads are the promising ones, where there is a high chance of the deal being closed. However, the bad leads are those who have consumers still on edge or confused about the solution they found, which can indicate a false solution or disinterest in the company/information. To keep the good leads going strong and possibly convert the bad leads into good ones, a company has to continually follow-up with the customer and prove why their solution can solve their problem effectively. Continuous, but not spammy interactions and a welcoming vibe are definitely some ways to help the customers feel positive and happy. 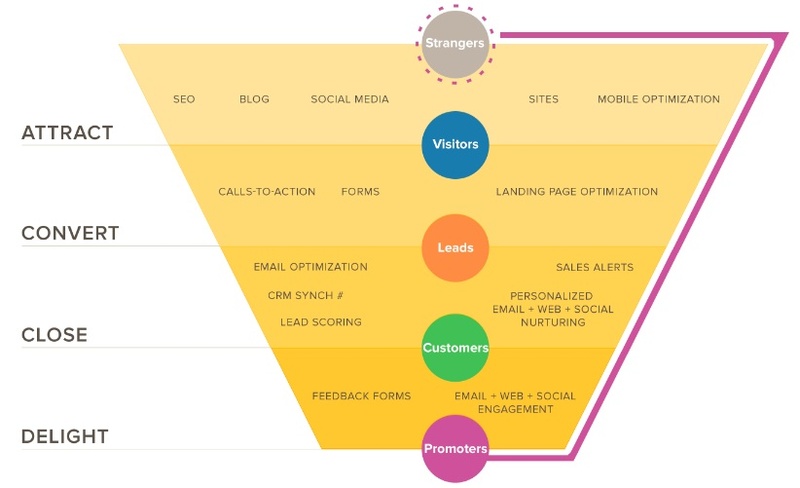 And now, the final part of the Inbound Marketing Funnel is at the bottom (BoFu). The customers have now decided from the information provided and are ready to purchase a solution. Usually, at this part, the leads are considered “low-hanging fruit”, meaning they are ready and only need a little nudge to close the deal. For the most part, BoFu focuses more on the companies responsibility to follow up with the consumer and optimizing future leads after the sale has been closed. By merging call to actions that are considered BoFu, like free trials or scheduling an appointment into MoFu, this makes the division between stages more apparent as BoFu can continue to be the deal closing and the analysis of the consumer’s journey. In summary, the Inbound Marketing Funnel provides a clear structure to where the audience is funneled by providing a solution and relatable content that your audience can utilize. It may sound simple, but the numbers prove this process to be very difficult. A common conversion rate assessed by many experts is around 3%. Which means out of 100 people that visit your website, only 3 actually decide to buy your product. An easy rate-of-conversion that marketers use to quickly explain the differences of each funnel is about 10% of the previous value. So out of 100 people in the ToFu, 10 people in the MoFu, and only 1 person in the BoFu? This probably sounds absurd and why would marketers want to implement this method if it gives such a low return? In reality, it’s a pretty good rate of sales (definitely better than 0). 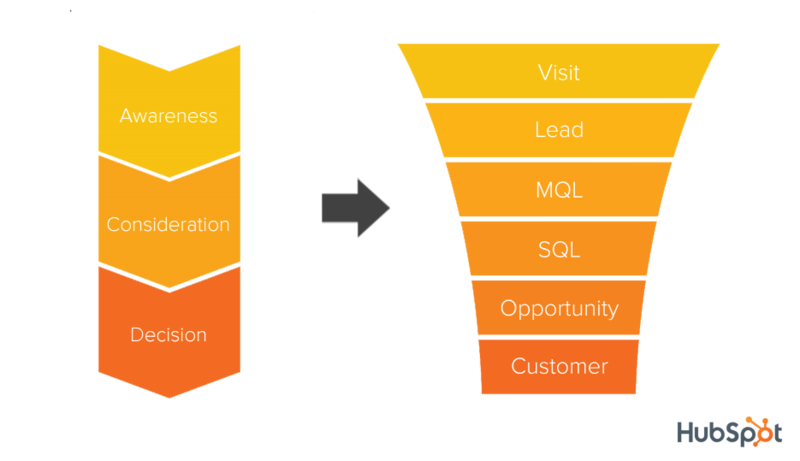 To expand more on how these Inbound Marketing Funnel stages are implemented, keep reading for the phases that Inbound marketers use. There is also an extension to the funnel, called the Inbound Marketing Flywheel. Now let’s dive in what the Inbound Marketing Flywheel is. This is a very simple take on the actions that have to come at play when dealing with Inbound Marketing. The flywheel is about motion, moving forward, from how you attract then, how you service them, and how you delight them. 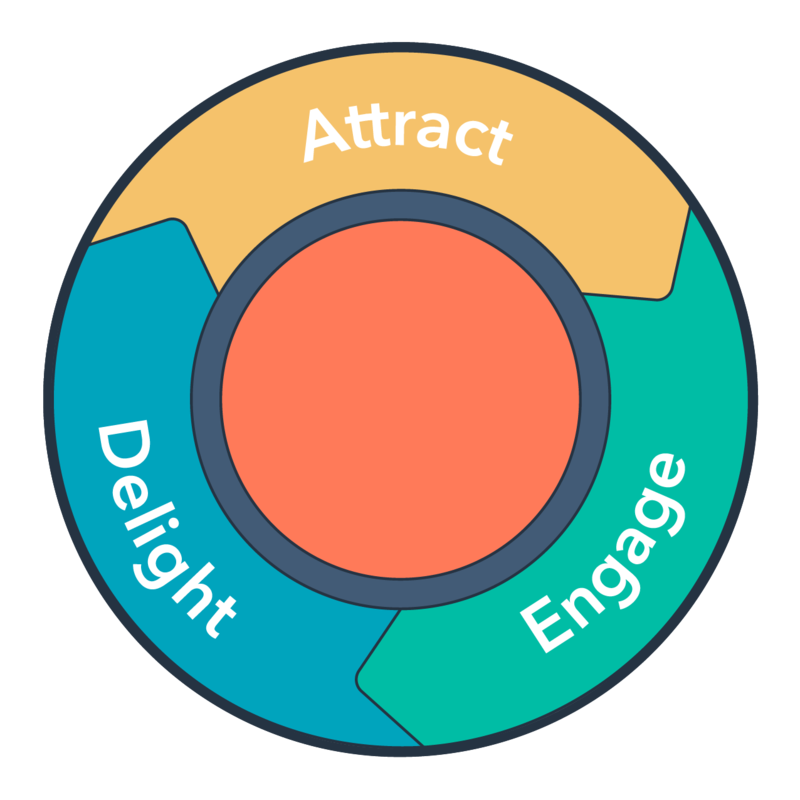 Attract, Engage, Delight, these are the three moving parts to the flywheel. The Inbound Marketing Flywheel process is very similar to the funnel but sheds light to the marketer in a different way. This helps create trust with the audience and business, leading into higher customer retention rates. Happy, targeted customers are the best for your business, so why not be proactive in creating the ultimate customer experience? 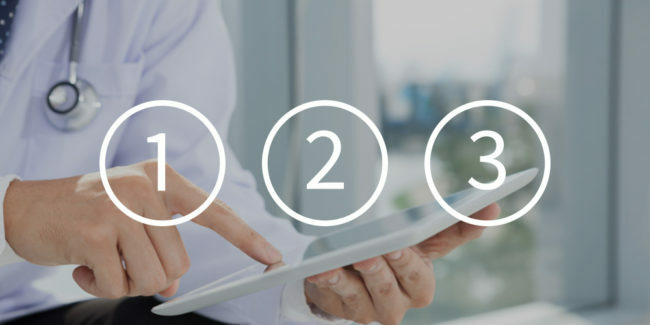 If you want to use Inbound Marketing to your advantage and solve the question, what does inbound mean, you have to first understand the 4 different phases to successfully implement. These 4 words; Attract, Convert, Close, and Delight, are the core concepts for the Inbound methodology and is a best practice to get better acquainted with them. In general, its an adaptive way of 24/7 engagement and optimal experience for the consumer and company, where both sides can gain something valuable. The first phase, the initial contact is the first impression that your webpage has on incoming visitors. However, these aren’t just any visitors, they’re the right kind of visitors that you want to attract. These are the visitors for whom the website was intended for, as they are the customers that will have the most potential in becoming a closed deal. The goal of this phase is to make these new visitors become regular visitors that can begin to interact with the company and the community, along with finding the right information they are looking for. Remember to think like the prospect and build around that mentality to really understand what is the best way of attracting potential leads. Some methods to implement attraction phase is to have a useful and unique content that the visitor will gravitate towards. This can include blog/articles, social media, or video content. These types of content provide visitors with useful information, leading them to build trust in you and your business. Besides creating useful content, marketers can also take advantage of search engine optimization. By using keywords and meta tags, search engine algorithms can rank the page higher in specific search queries, so that the webpage is the top result and have higher exposure. Now, leading into the second phase of the Inbound methodology funnel is where the company is focused on converting the prospects into leads. With new potential leads, the next important task is to convert those prospects into leads. This is the next important part of the Inbound methodology funnel. Gathering the potential prospects’ information is key to kickstarting an interaction, helping keep prospects engaged and lead to a successful conversion. The methods used for conversion are ones that can create a connection between the company and the lead, by providing useful tradeoffs that the prospects find value in, whether it is a free ebook in exchange for their email or phone number or a free trial for a tradeoff for their information. It is important to provide valuable content so that the prospects are willing to provide their personal information. Most Call-to-actions are common ways of effectively getting what you want as a business, like landing page forms. It is also key to note that after a potential lead agrees to exchange their information, follow-ups can only be advantageous to you as a marketer. Effective email marketing can be the life or death of that lead. The third phase, transforming the lead into a sale. This stage determines whether the lead is fit as a potential fit as the company continues to interact. A company has to be fully understanding of what the buyer needs and find out how the company can provide the solution to their problem. However, even if the lead is determined to have no potential, it is in the company’s best interest to continue facilitating a good relationship with that potential lead. Remember, that one of the main points of the Inbound methodology is creating a unique relationship with customers and making sure they have a satisfying experience with you. Another way to determine how readily or how much potential the lead has is by lead scoring. This method helps rank potential leads based on multiple variables. Not only can a company use lead scoring to help sort potential sales, but automated email workflows can be used to have content continually flowing out and updating leads to keep them interested and engaged to start on closing the deal. The final phase of Inbound methodology, Delight. The final stage carries a heavy weight in Inbound methodology and sometimes can be easily overlooked. Although a sale may have been completed, the most important part of Inbound is making sure they enjoyed their time working with you and your company, as they have the power of sharing the good deeds and the positivity of your time spent together, eventually becoming social promoters. Word of mouth and testimonials are still considered to be some of the best ways of advertising. In this age, the expectations of the customer and potential sale are high. It is beneficial to keep customers happy and retain their loyalty. It is also well known that it costs companies more to attract new customers than to retain their old ones, almost 5 times as much! Still, today, companies are unfortunately more focused on customer acquisitions over customer retention. Delight is such a big factor in brand recognition and awareness that it absolutely cannot be forgotten. Some ways you are able to delight your customers is by utilizing dynamic content, continuous interactions, and using social media to your advantage. But, it is also important to have procedures in place to figure out how to optimize each interaction you make and where the users can provide feedback. This is where surveys and support forums become a huge factor as they are real impressions and feedback of users that can be analyzed and used to improve websites and social interactions. In summary, there are 4 different phases to the Inbound methodology that are key to Inbound Marketing. 1) The Attract Phase, focusing on attracting potential customers through targeted marketing. 2) The Convert Phase focuses on converting those visitors that were attracted by your content, let’s say, and are now possible leads that you can follow up with. 3) The Close Phase is pretty straightforward, you are focusing on closing the lead, turning them into a sale! 4) The Delight Phase is the final phase of keeping everyone who interacted with you happy so that you can retain new and existing customers. All four phases are crucial to creating the perfect strategy when attempting to gather leads and increase your close rate. Inbound and Outbound Marketing. What’s the Difference? Inbound and Outbound Marketing is very different in the methods of approach because of how they operate. Inbound Marketing is all about the potential customer coming to find you or your product from a need, while Outbound Marketing is more about bringing the products to the customers and hoping they bite. It can be said jokingly that Inbound is permissive advertisement and Outbound is an intrusive advertisement. Permissive advertisement is exactly what it sounds like, advertisements that are only displayed when the consumer is willing to accept them. Intrusive advertising attempts to win the attention of a wide range of consumers with their product, like television ads that play towards an audience that just has that channel selected at that moment. Inbound can not only be appealing for the consumer, but also more personalized. Rather, than broadcasting an advertisement by mass emailing or placing them in newspapers. As technology becomes more advanced, people anywhere can connect with almost anyone within an instant. 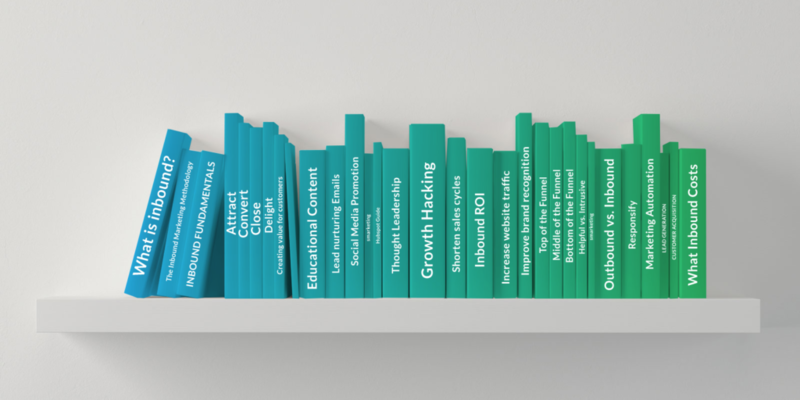 The introduction of the internet and web-based marketing has boosted the growth of Inbound methodology because it is much faster to connect. Generally, Inbound Marketing is more commonly situated for the internet, while outbound relies heavily more traditional methods like fliers, print ads, and television slots. Outbound marketing has existed throughout the marketing timeline. Marketers would promote their products and services through word of mouth and posted fliers so that everyone would know, whether they wanted to or not. Inbound is a newer approach to marketing, as the world continually shifts toward technology, making people became more resistant to constant marketing advertisements. There had to be a change in the way companies advertised so they could adapt to the evolving consumer. However, Inbound is not really replacing outbound, but, it is just a focused marketing method that companies can now employ to further their sales numbers. A solid rule of thumb for Inbound Marketing is to educate the prospect. But, why would you want to educate someone rather than focus on selling your product? Inbound is more about making the prospect feel the value in your service and that they are gaining something from what you provide. With the growth of the internet, people can get information very quickly, so providing content that they maybe cannot find elsewhere could rank your company higher in their mind and in your SEO practices. Providing useful and informative content is better than shoving a product in your prospect’s face. Not trying to say that outbound is only about selling, but with the traditional methods that outbound marketers use, they don’t have the capacity to do what Inbound Marketing does in terms of educating the prospect. Inbound and Outbound Marketing. The Similarities? At this point, you might be thinking how to apply these two techniques that are so different from one another but closely related at the same time. To add onto that thought, both methods should be applied as a marketer to reach the full potential. In both cases, marketers have to figure out who they want to target by building profiles for potential leads. Although outbound has a bigger audience compared to Inbound, outbound marketing is like casting a net while blind. In any case, both methods have to understand the audience. Targeted marketing is a very important aspect of marketing that should not be overlooked. The end result a marketer wants from a lead is closing the sale. It doesn’t really matter which method is used to close the sale. You still have to nurture leads so that they can even become a sale. There is a lot of follow-ups and constant communication that both sides have to commit to so that both parties are happy. As there are differences in their method of approach, they also have their similarities. Both marketing techniques can use Search Engine Marketing (SEM) to their advantage. For example, Inbound can use Pay-Per-Click while Outbound uses Display Ads and although both are under SEM, they are different approaches that still stay within their specific definition of marketing. There is definitely positives and negatives to marketing methods, in general. But this comes with the territory of being a marketer. Knowing how to adapt and work your way through different methodologies. Inbound Marketing’s main benefit for small companies and startups is that it allows them to compete against larger companies that have already established a good record with the community. It is cheaper than outbound marketing and more cost-effective. Using Inbound Marketing also has a quicker Return on Investment analysis, as there are multiple platforms that can analyze website data quickly. Since Inbound Marketing takes place mostly through an online setting, it’s easier to analyze the progress. Although there are many pros to Inbound Marketing, a few cons can come along with the territory as well. Although Inbound Marketing can be cost-effective, it doesn’t mean the cost is within a company’s budget. Inbound takes a lot of effort and skill to create an effective campaign that prospects can engage properly and be satisfied. It’s a commitment that the company must fully engage in to come out on top with this technique. Typically, it takes a large team to complete a full Inbound Marketing tactic. Writers, strategists, production teams, and designers, for example. If you can find a platform that can find an all-in-one platform, you can reduce the cons to creating valuable Inbound content. Let’s dive into a little more about what it takes to accomplish the Inbound Marketing Fywheel and Funnel. To properly execute this technique, you’ll need employees and experts with skills involving design, search engine optimization, writing, and management. A company does not need the best of the best to tackle Inbound techniques, but it can take time to build and craft your skill as a marketer/manager. Another important aspect of the process is that you need a strategy in place before all efforts come into play. A strategy is important for anything you do in life, so why not have one for marketing as well? Since Inbound is still relatively new, there may not be as many competitors vying for the top spot as of now, but definitely in the future as more companies get on board with Inbound Marketing, the internet will become saturated with websites and only the best can earn the top spot. What are the Costs of Inbound Marketing? Inbound Marketing, is not really free, either. It can be difficult to grasp by a single individual, so most of the costs is filled under hiring new writers, designers, and strategists that understand what needs to be done correctly, especially with search engine optimization and some forms of paid advertisements like Pay-per-Click. The first thing that Inbound Marketing teams needs is a strategy, aside from a budget. Drafting a strategy can expensive and requires a large amount of time and research. Many companies try to create their own strategy and lack the research, but many other companies hire external marketing agencies to craft a strategy for them. Outside of hiring professionals, programs like automated marketing software and purchasing ad space on search engines can take up a large portion of the budget, as well. Automated marketing software are becoming a must-have with the increasing content production demand. Publishing ads on a search engine and search engine marketing, in general, can be expensive, as companies shift their focus onto Inbound Marketing. It is not necessary to hire externally, but can speed up the process to launch an Inbound Marketing campaign or be unnecessarily difficult to upkeep the campaign without the efficient resources available. Remember that time is money, and money is quality, this reflects directly on a marketer and their business. Another component of the Inbound Marketing Flywheel and Funnel is optimizing your website through search engine optimization. Search engine optimization basically helps rank your content when someone searches for something. This method helps potential prospects find your website and therefore increase the probability of converting into a sale. In the mix between SEO and your website, lies the content, the juice that will attract your potential customers. You want to optimize your content for higher SEO results. Search engine optimization covers many things including link equity, keyword optimization, and relatable content. Without these in play, the website/content would not rank well in search engines, making the Inbound Marketing technique at a loss because you are not getting in front of the right audience. To begin using SEO to your advantage it’s important to understand how to use it. Once you fully understand, it will be useful for effective Inbound Marketing. Ranking is one of the most important things in SEO and Inbound Marketing, as it controls the exposure that the website or content receives, therefore controlling your brand awareness and marketing powers. So, utilizing keywords and optimizing the right content is needed to get in front of the right audience. Besides keyword optimization, link equity is another important part of the puzzle of SEO, as it builds trust and value to the content’s ranking. This is based on various search engines algorithms that scour the website looking for internal and external links and keyword density, rewarding a value based on what they found. The score is also supported by having valuable and relevant content for visitors. SEM is another method that manages the advertisements that appear in the search engine so that even if the website’s ranking is not the top, users will still be exposed to its presence whether the ad is PPC or just impressions. 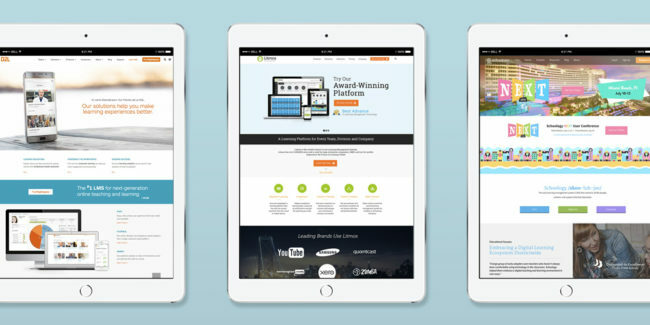 With these tools, the Inbound Marketing campaign can only get stronger. 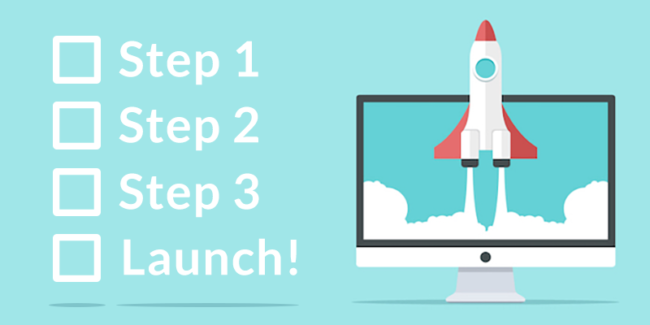 The Inbound Marketing process can be a steep slope when starting from scratch, but when you are able to define the audience, that is the first start. With all the moving pieces in the workflow process, it is crucial to stay on top of the goal at hand. Some tips to keep the Inbound train chugging and not lose momentum are mostly details regarding your content and continuous interaction with users. Design appeal has a tremendous effect on audience members. Imagine if a website design was lazy, or the content was useless, it would be unappealing right? That’s why it’s important to have a strong eye on design and content, so that prospects find it appealing to stay and easy to navigate. Nothing is more frustrating than when you can’t find simply find what you’re looking for. Remember that search engine optimization is a tool that can help too! Another tip for marketers is to have quality content, always. This is so that visitors feel that they gained something and are satisfied from the content piece and will have a higher chance of returning for more. Quality content is all about giving your audience what they want, without giving them everything, helping them apply whatever it is you are providing. Some good content ideas besides blog pieces and videos are guides and demos that the visitors can interact with. Engaging the audience is one of the most important parts in the whole process because most of the time, you are only given a small window to “wow” the audience. Social media is highly recommended to engage with the audience in a different form, as they can communicate directly with others and the company. Social media is awesome because it can increase brand awareness, trust, and exposure, especially if there is a strong presence. Honestly, having a solid platform for prospect interaction will only be beneficial as they keep the prospects engaged. As long as it doesn’t become spam to the user, monitoring the community is necessary to optimize and improve the audience experience. It’s crucial to a business that they do not rush through the process for creating the ultimate Inbound Marketing goal. Either way, there are just some things that should never be done during the Inbound Marketing process. Another thing to take into consideration is to avoid skipping steps. Everything needs to be in place for Inbound Marketing to work effectively. This includes cleaning up your website, removing useless text, information and imagery, for example. Regarding your website, you want to make sure it is optimized for mobile use. Mobile has become huge content-based marketing and should be utilized. Having content is good, but quality content, is great. You want your audience to walk away with useful information, not useless. Similarly, you don’t want to create flashy pages that intrigue someone and only pull their intention without having good content to back it up. It would be disappointing for the potential prospect as it would fall short of their expectations from a well-developed site with little value to them. As a connected, avoid pointless CTAs. CTAs are always good to help gather contact information and create the bridge between the company and potential lead. You also want your Call-to-Actions to be visible, making it easy to find for the reader. If you place the CTA in an awkward place, it only makes sense that the user experience will be tainted, so to speak. In Summary, remember to always produce quality, useful content for your targeted audience It is also wise to avoid trying rushing. It’s easier said than done, but if you’re able to properly execute your workflow, step by step, you will be eliminating more issues that could potentially arise. Inbound Marketing may be as new to some, but that doesn’t mean there aren’t those who’ve already been taking advantage of the tremendous opportunity of Inbound Marketing. Here are some prime examples of Inbound Marketing that different companies used to showcase their product and attract the right leads. Let’s start with the coffee company, Starbucks. Starbucks is widely known, almost everywhere in the world, reaching international stardom as the best place to get a cup of coffee. But how were they capable of expanding so fast after being established in the late 1900s? It was relatively simple in contrast to their current competitors, focusing on the consumer experience of enjoying the taste and quality of the coffee. This was pushed further as social media became popular and Starbucks, taking advantage, continually released new products in a clever way. By sharing aesthetic and visually appealing imagery, it was enough to reel in people as a potential customer. This interaction may not seem hard, but there were a lot of moving pieces to the puzzle before executing the content to the right audience. Many companies have taken advantage of social media and the benefits that can come from simply watching other succeed. Another great example is Chobani. This company was able to visually market a single item in a thousand ways. Even with their simple yogurt product, they are able to visually appeal to consumers who are not looking for yogurt, appealing to those who just want to browse their Instagram to see nice images. Their social media is chocked full of colorful pictures that use so much imagery and fruits to describe the flavor that Chobani offers, that it can’t help but naturally bring in customers, just like Starbucks does, as it continually climbs the ranks of popularity on social media. Another method of Inbound Marketing is building a community through blogging, which is a different take on social interaction, but still creates a space so that people can share ideas and communicate with one another and even directly to the company. Lego Ideas is an amazing example of this as Lego launched a creative online community where users can share ideas and even interact with the company. This method allows users to directly connect with others who have similar interests and expand the market capabilities for Lego as the community can design and choose future products. This level of versatility and interaction between the community and a company is ideal as it helps the company learn from consumer comments and feedbacks while rewarding their loyal customers. Personalize content is the best for your audience. Spotify does this well as they can take a user’s music genre interest or who their favorite bands are and send personalized emails and create personalized content that appeals to the user as they have relevance in what they like. Commonly seen are the recommended playlists that are generated based on community preferences and related music choices which can help a user expand their time on their website and continue to use their service. These examples of well-known companies have a large community backing them, who have capitalized on the growing Inbound Marketing strategies. Other strategies that a company can use with Inbound Marketing is emotional branding that creates a bond between prospects emotions and the product, unconsciously helping them. With proper effort put into Inbound Marketing and a commitment to this method, your company can also achieve great results. Just remember that it takes time to fully grasp the end goal, but when you get there and understand Inbound, the company leads will skyrocket. We’ll stop showing off the success of other companies now. Let’s get back to helping your company utilize the Inbound Marketing Funnel better. As you may know, in the end, marketing is about aiding in the sales process, but Inbound Marketing leads into Inbound sales. Inbound sales are not like regular sales, it’s personalized and creates a deeper connection with the customer. Personalizing your sales process is key to Inbound sales process. It’s about seeing the buyer as a human being rather than a potential sale, or as a friend who wants to build a lasting relationship. 24/7 communication, consistent engagement, and usability are just some things needed for an Inbound sale. Inbound sales can be complicated if not taken the proper steps. Before you can even complete a sale though, there has to be a lead, and before there is a lead, the marketer has to produce relevant inbound focused content, and before that, the marketer needs to create a method or strategy of getting those leads, known as lead generation. However, we’re looking at Inbound Marketing strategies and understanding, so it’ll be Inbound lead generation. So what is it and how is it achieved? Inbound lead generation is as simple as it sounds. It’s finding potential leads from your targeted audience based on using Inbound methods like personalization. Take a look at the Inbound lead generator for more information. Most successful Inbound lead generators are optimized so that it can appear often in search queries and social media. This includes building a major online presence like on social media so that people can easily recognize the brand and its behavior, or through website ranking with blogs and good content so that it’s on the top of the search engine results page. A part of this optimization process has to do with SEO and good content that really appeals to people and relates to their interests and issues. Now, the other part of the lead generator machine is about utilizing targeted advertisements and customer persona profiling. This can sometimes be overlooked because it can be very time-consuming in researching the right profile to target. Using targeted advertisements include both Pay-Per-Click (PPC) as they can be limited to those who have an interest. This helps drive attention and traffic to the website through these ads and can increase the number of quality leads at the Top of the Funnel. With targeted customer personas, the marketing team can create different scenarios and environments that people can enjoy. Having different personas for different products can be extremely helpful in the process of conversion because the team can have a foundation in understanding the customer’s purpose and guide them appropriately which can lead into meaningful interactions and a happy ending. Inbound lead generation isn’t only optimized in the beginning of the Inbound process, but also at the end. Since Inbound Marketing is all about customer experience and satisfaction that builds into loyalty, companies can use that end experience to further market and improve their process. Some tips on post-sale lead generation would be using feedback and surveys from customers to learn about patterns on future sales and start to reach out to a source that may have been untapped before. A website and funnel analysis should be implemented. These are post-sale lead generator tips can really make it or break it, because the best way to get feedback is from the customer’s mouth, who have already finished the process and had a successful interaction with the company. We hope to have answered your question, what does Inbound mean, and gain a better understanding of the Inbound Marketing Funnel. There are a lot of moving parts to create a solid Inbound Marketing Funnel, including resources, skills, and time needed to make the process effective. Doing this alone or with a small team can be very challenging, but not impossible. Responsify is the all-in-one growth marketing solution that helps companies, large and small, to develop the right strategy, to attract, convert, and close their ideal customers through quality content. 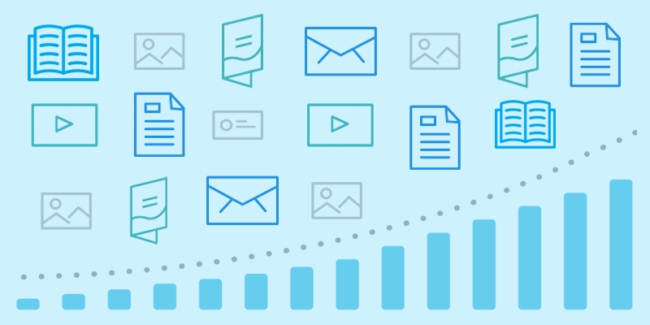 Responsify also provides support in producing Inbound content, nurturing email & social campaigns, giving you the necessary boost you need to gain more leads. Feel free to reserve a time to have a 1-on-1 chat about your Inbound efforts here. We’re here to help!